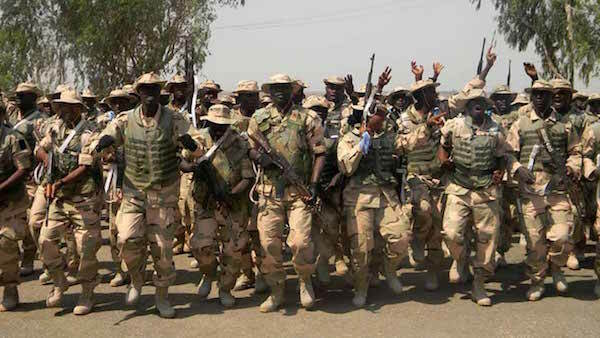 Deputy Director Public Relations, 82 Division Nigerian Army, Colonel Sagir Musa, condemned the report and asked Nigerians to disregard such. “Let me firmly reiterate that there is no invasion of any community by the soldiers in Abia State and in the entire South-Eastern part of Nigeria. “The rumour is baseless and mischievous and should, therefore, be disregarded,” Colonel Musa said in a statement on Thursday. He blamed what he called “supporters of violent secessionist agitation” for the report, saying troops have been carrying out their duties in the region in line with the rules of engagement. Musa, however, asked them to join the military in tackling security challenges – such as kidnapping among other crimes – in the state and in the South-East region. Saddam Hussein, the former President of Iraq was tried, convicted and executed by hanging for murdering 122 Iraqi citizens in the Dujail Province of Iraq. Buhari has so far, massacred more than 122 Nigerian citizens and therefore, should face similar fate like Saddam Hussein. What's your thought on that? Isn’t that justice?